• Whether you have any other health conditions or symptoms. 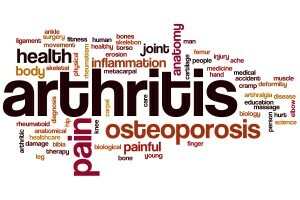 The next stage in the process will be the physical examination where your Dr Stephanie Barrett checks for swelling in the joints, pain or restricted movement and whether there is a grating feeling, known medically as crepitus, which can be indicative of degenerative arthritis. Once you have had these examinations Dr Stephanie Barrett will be able to give you her opinion and see if further tests are required. There is no single cure for any rheumatic diseases but there are ways of effectively controlling the pain, inflammation and related symptoms. Treatments are specific to the individual and should be planned with help from Dr Stephanie Barrett and specialists. Below is a closer look at the different treatment options you may be offered. Drug therapy can help reduce swelling, limit pain and make managing your arthritis easier. Below are the types of drug you may take or be prescribed. Paracetamol and other over the counter analgesics can be used for all types of arthritis. They are recommended to be taken before carrying out an activity you know may aggravate your condition. NSAIDs can be used to reduce inflammation and they can be especially useful for short spells when your symptoms are particularly bad or flare up. They can be used as creams or gels rather than oral medication if you want to apply them directly to the effected area. More powerful than your standard anti-inflammatory, steroid injections are administered by doctors on a regular basis and help to treat arthritis and connective tissue diseases. Disease-modifying anti-rheumatic drugs suppress inflammation and are a slow acting drug treatment which should help to reduce inflammation. They are often taken alongside NSAIDs. Dr Stephanie Barrett might recommend a course of physical therapies to help you manage and overcome some of the symptoms of your arthritic condition. The physical therapies prescribed for arthritis include hydrotherapy, physiotherapy and occupational therapy, all of which will be offered through referral and designed to suit your specific needs. Surgery is sometimes advisable for cases of arthritis where the damage to the joint are severe enough to make everyday life difficult and where other treatments can’t make a significant impact. Many joints throughout the body can be replaced and others can be reconstructed or manipulated for the long-term benefit of the patient.